A simple yet incredibly beautiful bouquet, which exudes pure elegance and feminine charm. 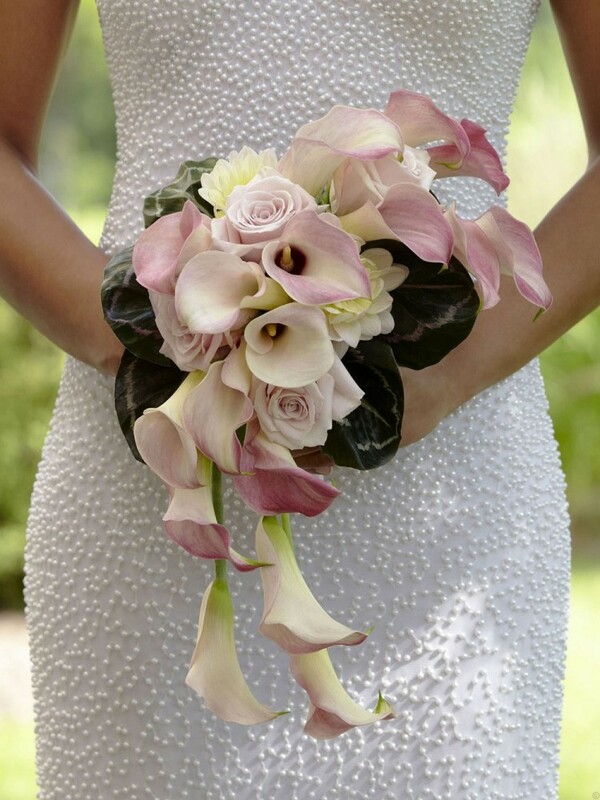 Pale pink mini calla lilies, roses and dahlias are arranged in a cascade style and accented with a white taffeta ribbon to create an unforgettable look. Approx. 20"H x 11"W.